Les Cassés is a commune in the Aude départementet of the Languedoc-Roussillon région. The modern village of around 200 occupants lies a couple of miles away from a Medieval Village of the same name. Nothing remains of the ancient village, Les Cassés Vielh, except the spur of land on which it sat, and the foundations of its windmill. 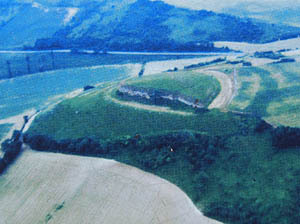 The site of the castrum is now known as "Le Fort". The castrum was commanded by Raymond and Bernard de Roqueville, who held it under the suzerainity of Raymond VI, Count of Toulouse. 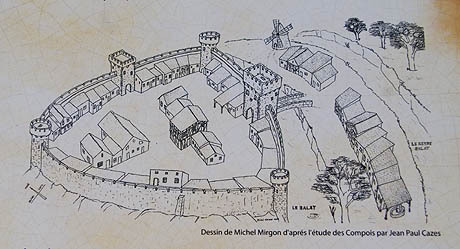 In 1211 the village, a castrum, sheltered some 94 Cathars. After the fall of Lavaur and the massacre at Montgey, Simon de Montfort and his Crusaders besieged the castrum, on 20 May 2011, taking it, and burning alive 60 Cathar Parfaits who declined to abjure their faith. According to The Song of the Cathar Wars the Cathars were led out of the village . A large fire was lit, and the unfortunates were burned alive "with great joy". The Crusaders went on the besiege Montferrand, Commanded by Baudouin, brother of the Count of Toulouse. 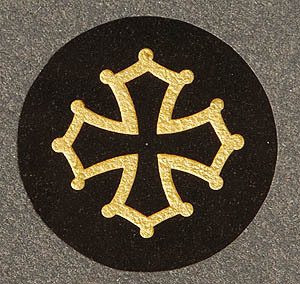 Cassés owes its name to the Occitan Casse, meaning oak, so the town's name translates as The Oaks. 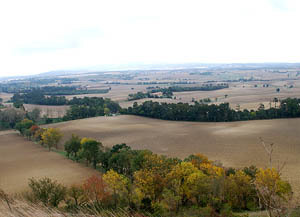 The village lies in the Lauragais on the Rigole de la Plaine, near to the boundary of the Haute-Garonne département. A reconstruction of the ancient castrum, perched on its spur, based on tax records. In 1542 there were 38 small houses, plus two in ruins ("lougades") . 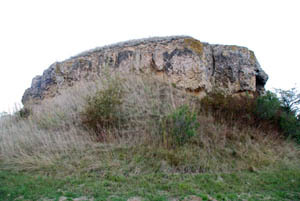 It was still protected by a ditch ("valat") and a rear-ditch ("reyre valat"). There were 11 further houses and a windmill outside the defences. Records from 1592 mention a barbican and three tours. A text of 1199 relates a curious incident at Cassés. The castrum was besieged by enemies, but the lords of Cassés were not there to protect it. In their absence, the wife of Raymond VI, Jeanne of England (sister of Richard Coeur de Lion) defended it. Although "full of courage and zeal" she was betrayed by her own forces. She was obliged to surrender and was lucky to escape with her life. 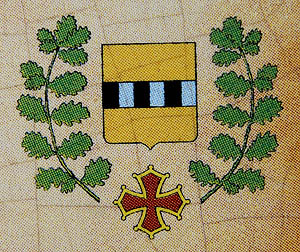 During the early years of the Cathar Crusade, the castrum of Les Cassés was command by Raymond and Bernard de Roqueville, who held it under the suzerainity of Raymond VI, Count of Toulouse. In 1211 the village, a castrum, sheltered some 94 Cathars. After the fall of Lavaur and the massacre at Montgey, Simon de Montfort and his Crusaders besieged the castrum. 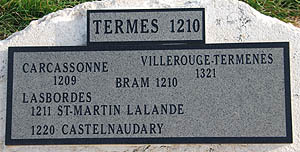 The Count of Toulouse, at Castelnaudary, did not come to the aid of his vassals. The crusaders took it on 20 May 2011, and burning alive 60 Cathar Parfaits who declined to abjure their faith. 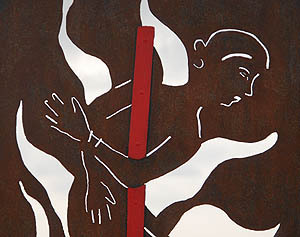 According to The Song of the Cathar Wars the Cathars were led out of the village, a large fire was lit, and the unfortunates were burned alive "with great joy". 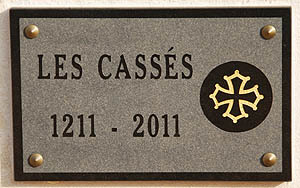 Les Casses was home to a number of Cathar leaders, notably Bernard Boufilh along with his brother and his son (Cathar Deacon of Saint Felix and Des Casses). 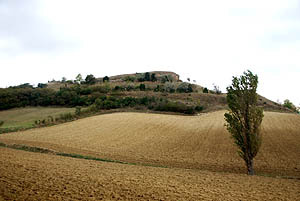 The area north of the castrum is called Boufilh. The three escaped burning in 1211 and were back here by 1225. 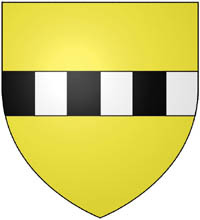 Arnaud Des Casses, a knight and Lord of Casses was a known parfait. 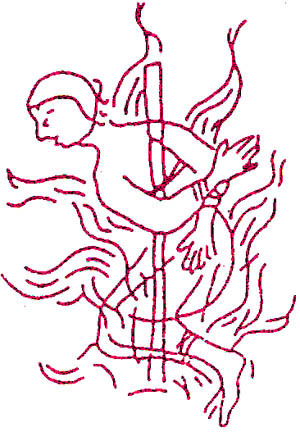 Two brothers Raymond and Etienne Isarn Des Casses were burned alive at the massacre of Montsegur in 1244. 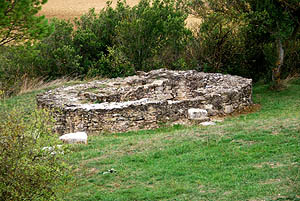 Alazais of Roqueville, mother of Raymond and Bernard, lived in Les Cassés; she was a parfait who seems to have escaped. Raymond's wife Raymonde was later arrested and burned in 1245. In 1247 all of the inhabitants of Les Casses were interrogated by the Inquisition. The registers attest to a great deal of Cathar activity here, including the participation of the knights of Les Casses, protecting Cathars and guiding them from one hiding place to another. 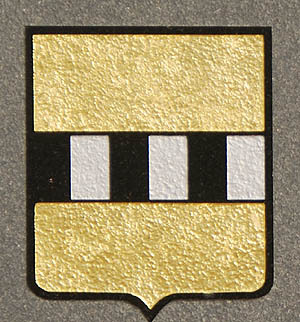 The spur "eperon" on which the castrum of Des Casses stood. There is no trace of the village except the contours and the defensive ditches.
" 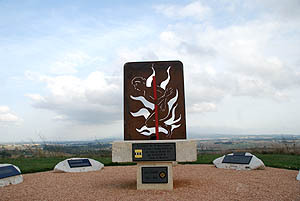 In memory of the 60 goodmen and goodwomen burned in this place on 20 May 1211 by the Crusaders of Simon de Montfort"
in 2011 the village of Les Casses constructed a monument to mark the 800th anniversary of the massacre at Les Cassés Vielh. 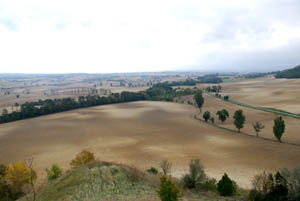 It is located on the site of Les Cassés Vielh. The site is not difficult to find. 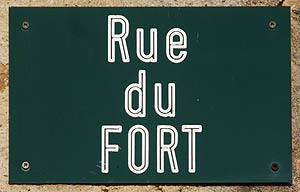 First locate the "Rue du Fort" in the modern village. Follow the road out of town, even after it turns into a track. 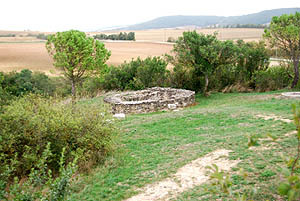 At the end of the track, you have reached Les Cassés Vielh, easily identifiable by the vestiges of the old windmill. 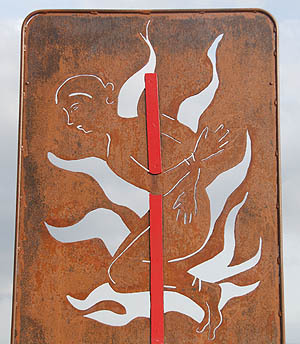 The site of the monument is clearly sign-posted - just follow the panels marked "Site du Fort - Mémorial Cathare"
The monument is very simple, a work in iron reproducing an image of an heretic being burned at the stake (taken from a sketch in a contemporary Vatican manuscript). 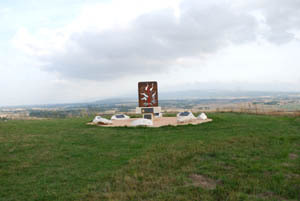 Surrounding it are subsidiary monuments marking the sites of other nearby sieges and massacres, with names and dates. They are arranged to face (roughly) the location named. 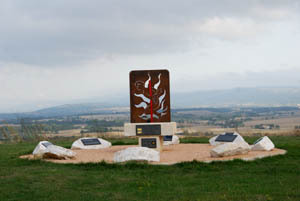 Memorial site at the "Fort"
D'or à la fasce componée de sable et d'argent.